…The Capital Region Beer Enthusiast’s Preferred Destination! Oliver’s Beverage and Westmere Beverage (or from our famous jingle, “a couple of guys better known as the BREW CREW!”) are proud to have served Albany and its surrounding area for over three decades. Devoted pioneers of the Albany craft beer scene, throughout the years, we’ve updated the copy on our work shirts, signs and even our rugs as our selection has grown from 500 to 1,000 to 2,500 to now over 4,000 different beers! 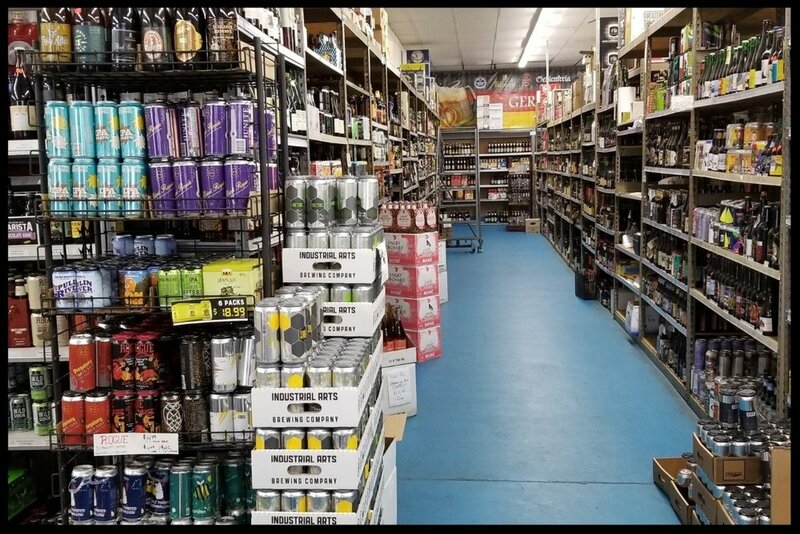 We carry a deep inventory of beer from all over the world; if you can imagine a beer style or a place of origin, we can put a beer in your hand. Our stock is rotated and kept fresh (when something hangs around too long, we price it cheap and say goodbye!) and our knowledgeable crew is always abreast of the latest brewing trends and emerging brewers whose beers have you on the hunt. Our tenure goes back a long way - and we’ve been beer-serious the whole time! For instance, we used to have the local distribution contract for Yuengling Beer and Newman’s Albany Amber and we were the FIRST place in the area who brought Corona to Albany’s beer drinkers in the 1980s. Albany’s craft beer history can’t be referenced without mentioning Mahar’s Public Bar, and the draft selection that Jim curated was only matched by the selection in our stores. It was the enthusiam of those thirsty early adapters that encouraged us to keep growing our selection…the rest, as they say, is history. It’s 2019 and the Brew Crew is more impassioned than ever. Maybe it’s our 28 draft lines and our Growler Rewards Club…or maybe its our two Crowler machines…wait, maybe it’s our inventory of hundreds of kegs for your kegerator or party event…maybe it’s that we fill CO2 tanks and can help you repair misbehaving draft equipment…you get the point. Stop in to one of our conveniently located stores and see for yourself why shopping for beer with the Brew Crew is an experience.